It’s no secret that event planning can be stressful. From endless checklists to piles of receipts to long guests lines, there just doesn’t seem to be an end to it! However, at ABCey, we believe that with the right tools, your event planning experience can be stress-free! For that reason, we have compiled a list of 5 amazing apps that will surely make planning your events smooth and easy! Simplify your planning process with Wunderlist! This app allows you to easily manage and share your daily to-do lists with colleagues. By setting due dates and task reminders, you will easily complete important projects on time! Furthermore, you can organize these projects and lists into folders with a simple drag and drop. 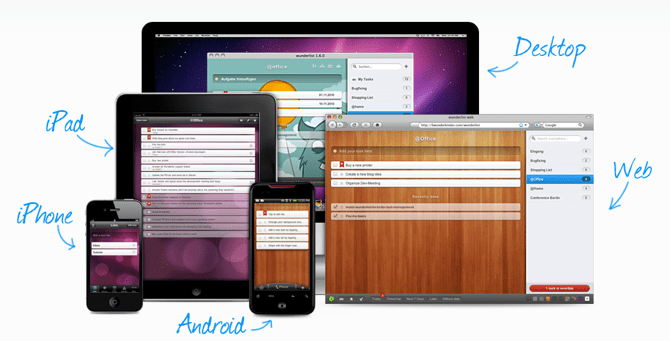 Jot down tasks while on the go, as Wunderlist is available on all major devices! Use Basecamp to stay on top of all your work, schedules, and colleagues! Having launched Version 3 in 2015, Basecamp offers a variety of features to ensure everyone on your event team stays on the same page. At ABCey, we love that Basecamp has a variety of features such as message boards, group chats, schedules, notifications, web-based text documents and file sharing. Basecamp makes communication and organizing your team easier and faster than ever before! So sign up here and watch your event team work efficiently together! Put an end to headaches that come with long guest lines by using Boomset! This essential tool creates a seamless check-in experience for your guests. Not only can you import contacts onto your guest lists, but you can also let your guests check themselves in! 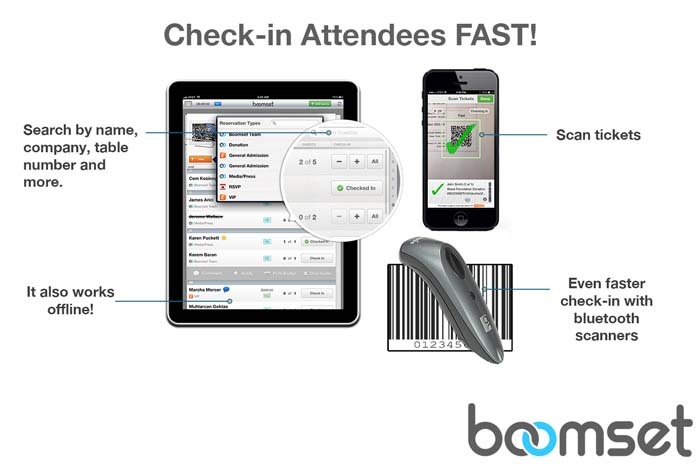 In addition, Boomset is also a lead retrieval app, further allowing your guests and vendors to exchange contact information with one another. That being said, don’t wait up and start your free trial now! 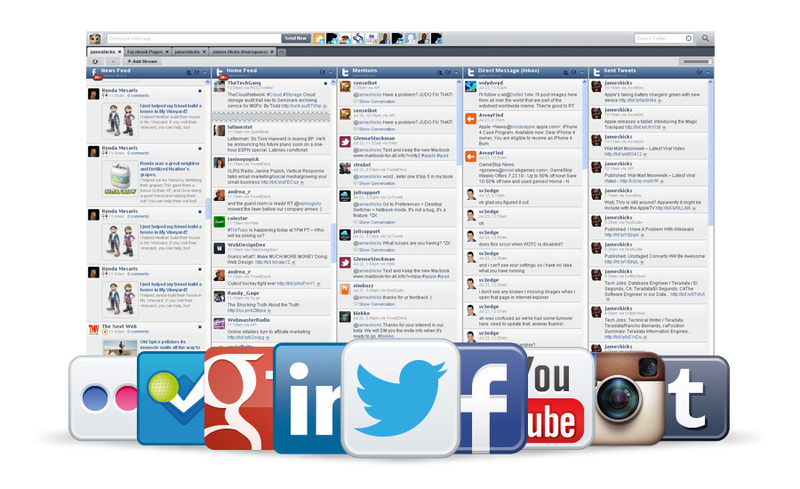 Manage all your social media networks at once with Hootsuite! This convenient app supports social network integration for over 35 popular networks, including Facebook, Twitter, Youtube, Instagram, LinkedIn, and Google+. With this handy tool, you can post and manage each channel on a single dashboard! Also, save time by scheduling your posts in advance, while using its instant analytics feature to compare your platforms in terms of followers and influencers! Sign up now! Eliminate endless piles of receipts and papers by using ScannerPro! With this app, you can scan documents with a snapshot, convert them to PDFs and email them right away. Users can also resize, crop and edit their documents as they wish! Download ScannerPro now, and turn your phone into a portable scanner! Planning to use any of these apps? Let us know with a comment or send us a message on Facebook or Twitter!